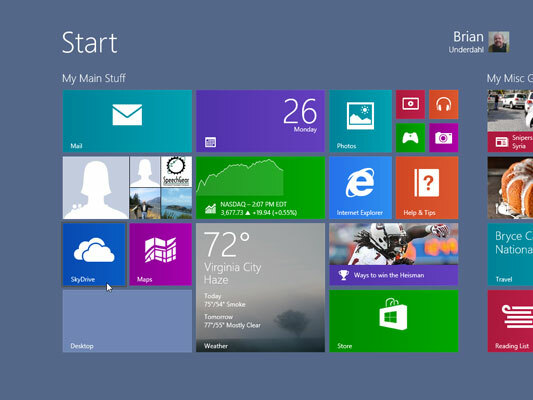 Windows 8.1 includes a SkyDrive tile that’s prominently displayed on your Start screen. 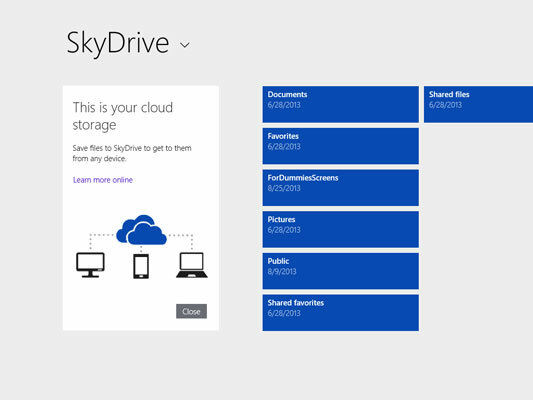 Of course, the SkyDrive tile has the image of a cloud on it! 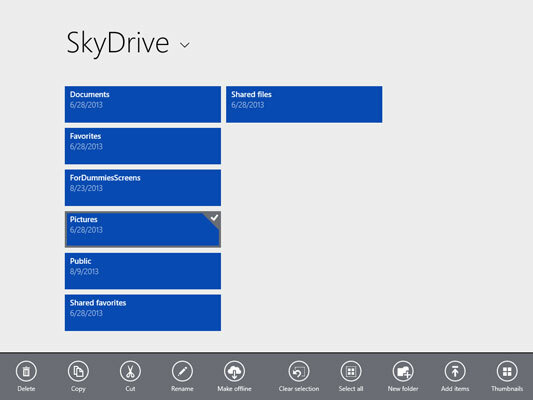 When you tap (or click) the SkyDrive tile, Windows 8.1 displays your SkyDrive folders. Your SkyDrive folders function the same as any local folders on your PC. You can also tap and hold (or right-click) a SkyDrive folder to display additional options. These options enable you to manipulate your SkyDrive folders by doing things like renaming or creating folders.